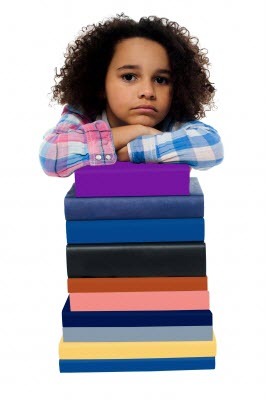 Your child may be having trouble in school for several reasons. He (or she) may not understand the material and needs either a better teacher or a tutor. Or, the problem might be lack of focus and concentration. Doctors are fond of diagnosing ADD or ADHD, and do like to prescribe medications which may or may not be good for your child. If you're like me, you're fearful of filling your child's body with chemicals that may do more harm than good. Before you take such a drastic step, consider using Dr. Bach's flower essences to help your child get his or her energies back in balance. Feel Bach's Attention Deficit formula is designed to help your child (or you) focus and pay attention. It quiets the mind, so that your child's thoughts will quit bouncing around like a grasshopper. Another situation that keeps a child from doing well in school is fear. He or she may be afraid of a bully - in which case you need to step in. Or, fear of failure could be causing the very failure he fears. Remember the Law of Attraction - it works for children as well as adults. Thinking "I'm going to flunk this test" could bring about that very result. If this kind of fear is hampering your child's progress, you can do two things. First, reassure him or her that your love isn't contingent on grades. Second, focus on accomplishments, and get him thinking about and talking about the things he's done well. And finally, give him Feel5ive in the morning before school, again after school, and again at bedtime. After a week or so you may be able to reduce the dosage to once each morning before school, and eventually discontinue use except in extreme situations. The flower essences in Feel5ive will help to re-balance energies and relieve that anxiety, so your child can be free to enjoy learning. properly in your home or work life. It can give you indigestion. It can affect your sleep. It can even lead to physical ailments. Meanwhile, those who know the Law of Attraction will tell you that worrying about something will draw that something to you. Perhaps your individual worry that the "wrong" candidate will be elected won't change the outcome, but if enough people worry together, it just might. The vibratory energy of thought is a powerful force. So if you're worried - about the election or about anything else affecting your life, the thing to do is to cut it out. Gain control of your mind and your thoughts - and when you begin to worry or obsess over something, "switch the channel." Think of something that pleases you. Maybe that something is the smile on a loved one's face. Maybe it's a warm puppy. Maybe it's anticipation of a bubble bath. Whatever it is that will give your feelings an instant lift - switch to it. If you're having trouble thinking of something when the worry has taken over - keep a written list of "good feeling thoughts" that you can refer to. Then do it. Meanwhile, get and use Dr. Bach's flower essences White Chestnut and Aspen. Both will help to re-balance your energies and allow you to once again gain control of your own thought processes. When allowed, your higher self will guide you to better feeling thoughts and will stop you from obsessive worrying. When your energies are out of balance, you turn off those messages from the higher self and are left at the mercy of your own mental hyperactivity. As for the election... Support your candidates and campaign for them by giving other people good reasons to do the same. Donate if you can do so without depriving your loved ones.